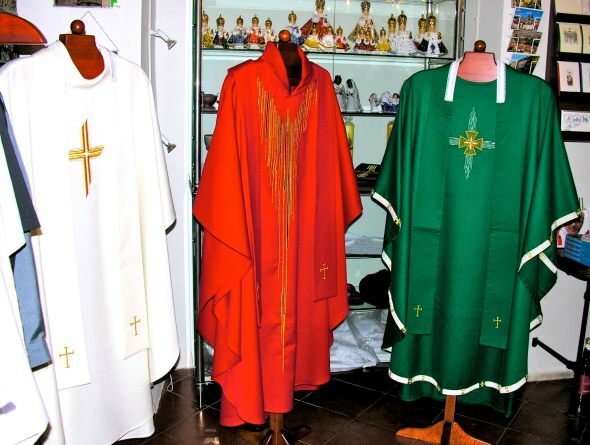 Thanks to the top quality and resourcefulness of our motives, we are ranked among the world leaders in the branch of production of clerical clothing and other religious items. We can design for you unique vestments and other textiles. Our family has been in the branch since 1713, thus the range of experience, expertise and knowledge is very rich. 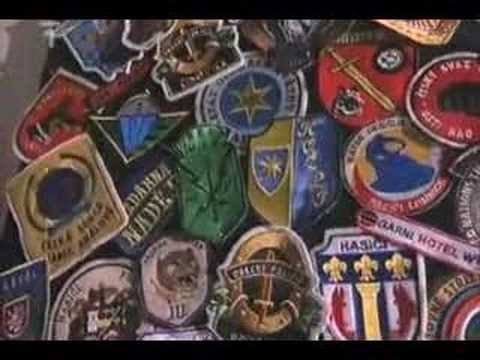 Paraments and religious goods made by our tailors and embroiders, such as vestments and gowns, can be found in our customers in parishes round the Czech Republic, Austria, Germany, Switzerland, Slovakia, USA or Australia. One of the oldest artistic crafts, used when manufacturing paraments, is the art of hand-made embroidery. It is our professional interest and enthusiasm of the people in the Velebný & Fam company, and mainly the effort to do the work perfectly that makes us one of the not many permanent-makers in the world who produces religious clothing of top quality. We can guarantee the best quality of workmanship in all our religious products such as vestments. All our items are decorated with hand-made embroidery work created by well-experienced, world-famous embroideresses from the region of Orlické Mountains, or we can offer you classic embroidery work on automatic machines. 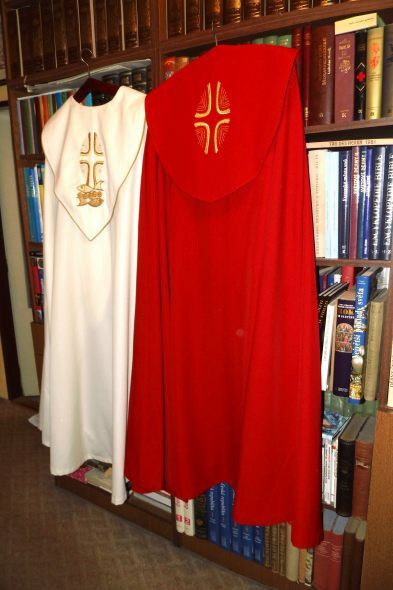 According to your specifications, we can develop motives for your vestment. 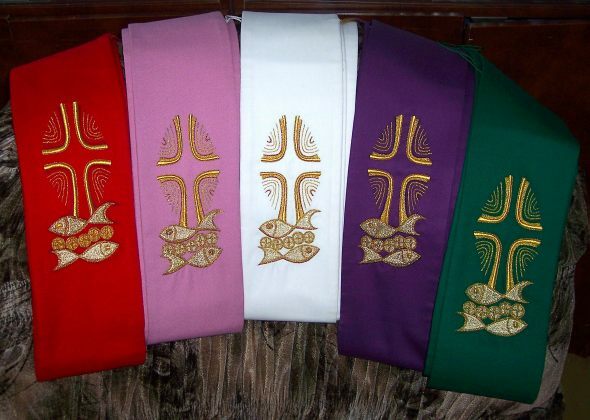 On request, we can supply all other textile religious goods, such as tablecloths, copes, chasubles, stoles, albs, rochets, cassocks, clerical shirts, antependia, chalice veils, chalice sets, christening towels, altar covers, baldachins, birettas, mitres, gowns, the Infant Jesus clothing, standards and other special religious textiles. Do you own paraments? Use our expertise! We can offer you professional cleaning, restoring, preserving and making replicas. We are ready to repair currently used religious clothes. Are you interested in the offer of our parament manufacture? Do not hesitate to contact us. We will be glad to answer your enquiries, present our goods and manufacture gods for you according to your requirements.